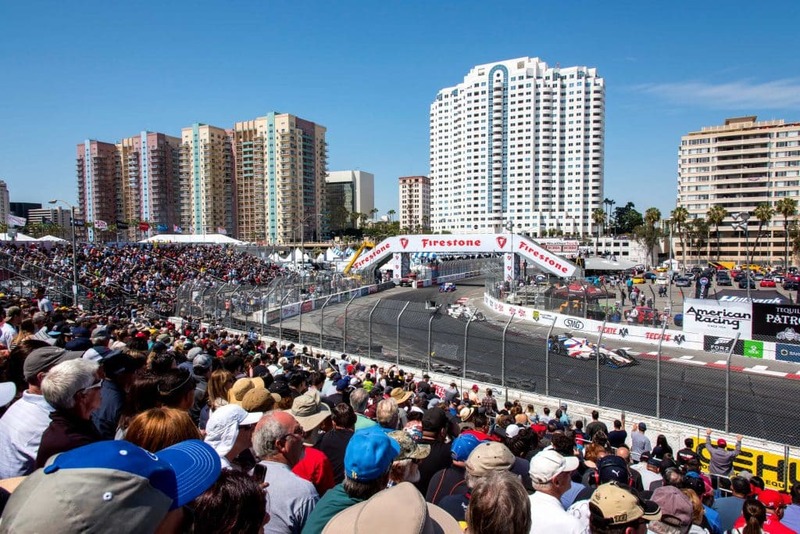 The Acura Grand Prix rolls into town April 12-14. Photo courtesy of the Acura Grand Prix. A photo of a man in a bright neon-yellow T-shirt flashed onto the projector screen at a recent Long Beach Human Trafficking Task Force meeting. The back of the shirt said, “GIRLS direct to your room in 15 minutes,” with a phone number. The photo was taken at last year’s Grand Prix—feet away from where the task force had set up an information table. “People may not even know that that situation is potentially a human trafficking situation,” said Mary Silvestri, a retired attorney and part of the ESTHER ministry at St. Joseph’s Catholic Church. She’s a member of the task force. The Super Bowl and other large events are often targets for human trafficking sting operations, although experts are quick to point out that it happens every day too. “Human trafficking occurs year-round and worldwide, from major cities to small towns, and it can spike during major events,” Silvestri said. This is the third year the task force will have an official presence at the race. With upwards of 200,000 people coming into town, its the perfect opportunity to educate the community about the $150-billion-a-year industry that is human trafficking, Silvestri said. In past years, volunteers have seen parents usher their kids away from their table, for fear of exposing them to the idea of trafficked humans. Silvestri noted that the task force isn’t trying to bring a cloud over what many see as a fun, family weekend, but they want to educate people about their cause. At the meeting, volunteers even discussed how the posters were specifically designed this year to not appear threatening. “Our goal is to keep the community safe,” she said. Volunteers will be comprised of people from about 50 different organizations that are involved in the task force.